Sharon Kaur, founder and managing director of Sahara Care, has presented company chairman Terry Brown with a unique, custom-made gift in honour of his 70th birthday. Upon wishing to present Terry with a one-of-a-kind gift on this special occasion, Sharon appointed designers to create a bespoke fountain pen, designed with distinct symbolism in mind depicting Terry and Sharon’s relationship. Named The Indian Summer, the unique pen (pictured below) has been designed to represent Sharon, her personality and her Indian Heritage, signified by its detailed engravings of a Bengal Tiger. 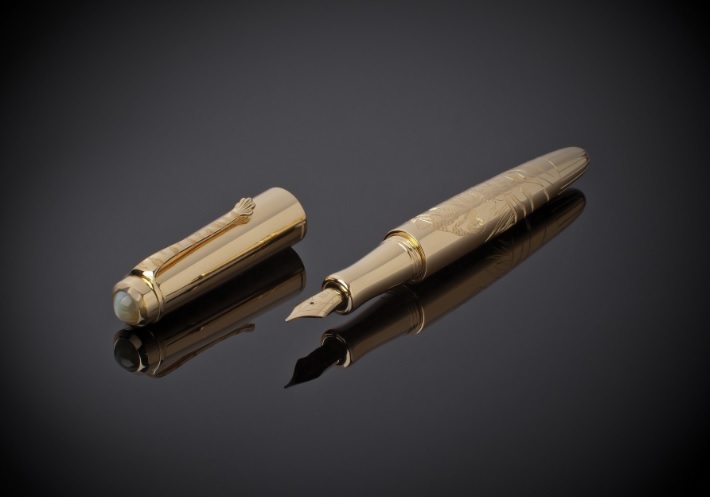 The pen is also specially engraved with Terry’s signature, to represent the considerable influence Terry has had on Sharon’s life since they first met – and how his careful mentoring has moulded her as a person. Commenting, Sahara Care’s Sharon Kaur said: “This special birthday gift, for a very special person, is my way of saying thank you to Terry for everything he has done for me over the years.